Pique student’s curiosity with systematic instruction in how oral and written language “works.” The Fountas & Pinnell Phonics, Spelling, and Word Study System contains explicit lessons for whole-group instruction and small-group application that help students attend to, learn about, and efficiently use sounds, letters, and words. The Fountas & Pinnell Phonics, Spelling, and Word Study System is a collection of one hundred brief lessons designed to expand and refine children’s reading and writing powers, and enable you to help children attend to, learn about, and efficiently use information about sounds, letters, and words. During phonics, spelling, and word study lessons, the teacher presents short, explicit instruction to help children learn about and efficiently use sounds, letters, and words. 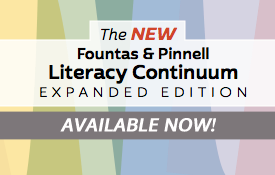 Explore the Fountas & Pinnell Classroom™ Instructional Context Samplers to begin designing the landscape of literacy education in your school. Each instructional context plays an essential role that contributes in different ways to every student's development as a reader, writer, and language user. 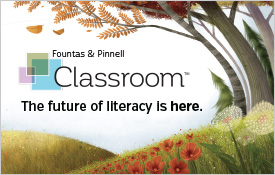 Improve student outcomes by creating equitable literacy opportunities for all students with Fountas & Pinnell Classroom™. The full version of this resource requires registration. The Fountas & Pinnell Phonics, Spelling, and Word Study System is for the classroom teacher who wants to expand and refine children’s reading and writing powers. These lessons enable teachers to help children attend to, learn about, and efficiently use information about sounds, letters, and words. Phonics instruction takes about ten or fifteen minutes of explicit teaching each day, with students spending an additional ten to twenty minutes a day applying and sharing what they have learned. Lessons driven by the principles from the new Comprehensive Phonics, Spelling, and Word Study Guide and The Fountas & Pinnell Literacy Continuum, Expanded Edition. A systematic exploration of letters, sounds, words, and learning how oral and written language “work.” This essential guide, presented in an easy-to-use chart form, is provided as a reference tool for you to see how the principle aligns to other related concepts. Poems that immerse students in rich, rhythmical language to expand their oral language capabilities, develop phonological awareness, and teach about the intricacies of print. Preprinted and preassembled lesson materials let teachers spend less time prepping and more time teaching. Pre-printed lesson folders and folders to organize materials by content area, month, or both. Online Resources for complete and convenient access to teaching materials organized by lesson. TEACH: Provide a concise lesson based on a clear principle. APPLY: Engage students in an active,”hands-on” application activity. SHARE: Meet with students for a reinforcement of the principle and assessment at the end of the activity. Phonics, spelling, and word study are also pervasive throughout various instructional contexts within Fountas & Pinnell Classroom™. Here is an illustration of what phonics and word study looks like within a balanced literacy system. These companions to the Fountas & Pinnell Phonics, Spelling, and Word Study System series use poetry to its full advantage to expand children’s oral language capabilities, develop phonological awareness, and teach about the intricacies of print. The poems in Sing a Song of Poetry immerse students in rich, rhythmical language, providing age-appropriate opportunities to enjoy language through shared reading, stimulate oral language development, connect words, and much more. Poetry enhances any early childhood curriculum. Language and ideas consistent with the language and ideas included in the Fountas & Pinnell Literacy Continuum. Turn time spent prepping into time spent teaching with the Phonics, Spelling, and Word Study Ready Resources. This valuable time saver provides teachers with preprinted and preassembled materials to use in minilessons, such as Alphabet Linking Charts, alphabet strips, month word cards, day-of-the-week cards, high-frequency word cards and more! The Word Study Continuum comprises that organize principles your students will develop over time. Although there are easier and more complex principles within each category, there is no rigid sequence, only a suggested timeline. 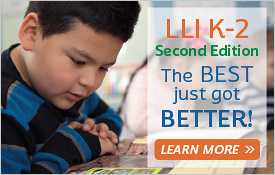 Phonics Lessons and Word Study Lessons are grounded in a wide base of academic research, including all the areas examined by The National Reading Panel, and reflect its recommendations for phonemic awareness, phonics, fluency, vocabulary, and comprehension. Extend your expertise by visiting the Resource Library for Study Guides, Samplers, Webinars, Tools and more. Use this printable order form of all available Fountas & Pinnell Literacy™ resources for your purchasing convenience. Transform your literacy instruction with insightful assessment, effective intervention, practical professional books, and essential classroom resources from literacy leaders Irene Fountas and Gay Su Pinnell. PLEASE NOTE: All prices and publication dates subject to change. Call or visit Heinemann.com for current pricing.